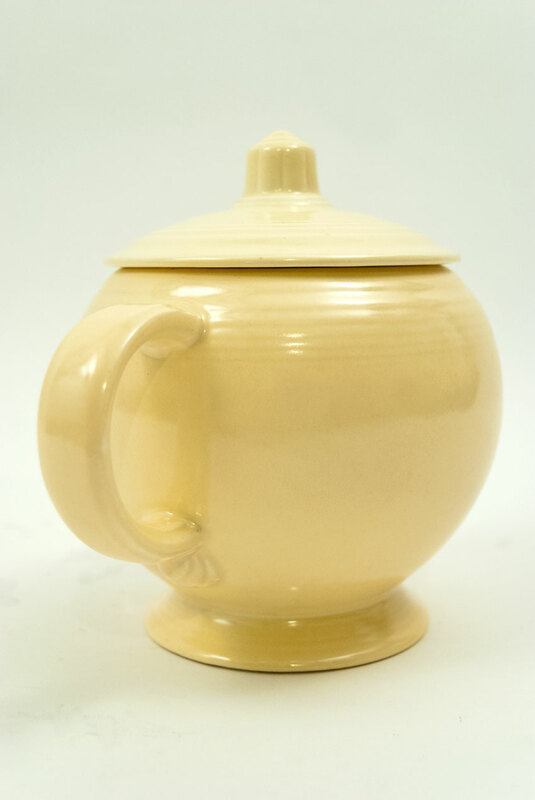 Circa 1937-1951. Marked in the mold on the bottom. 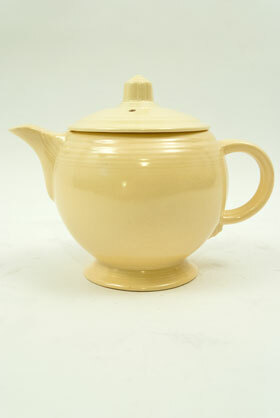 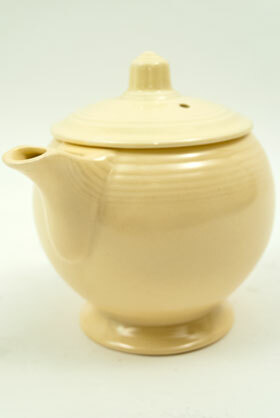 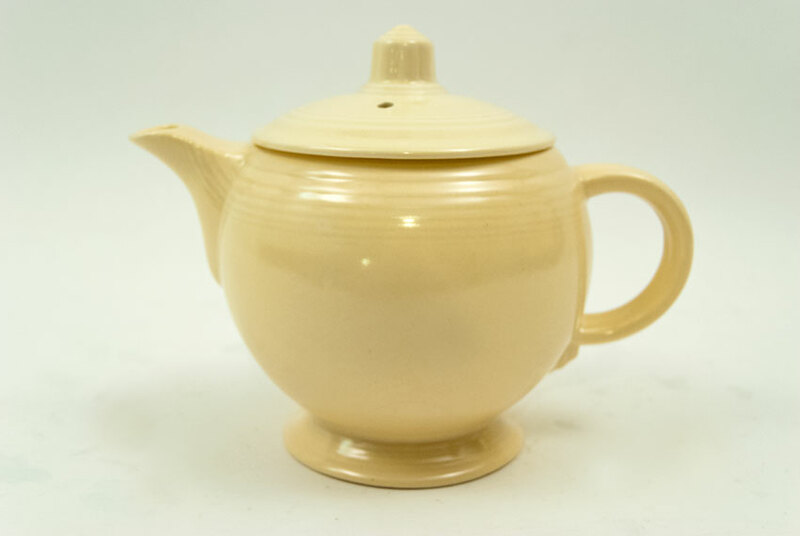 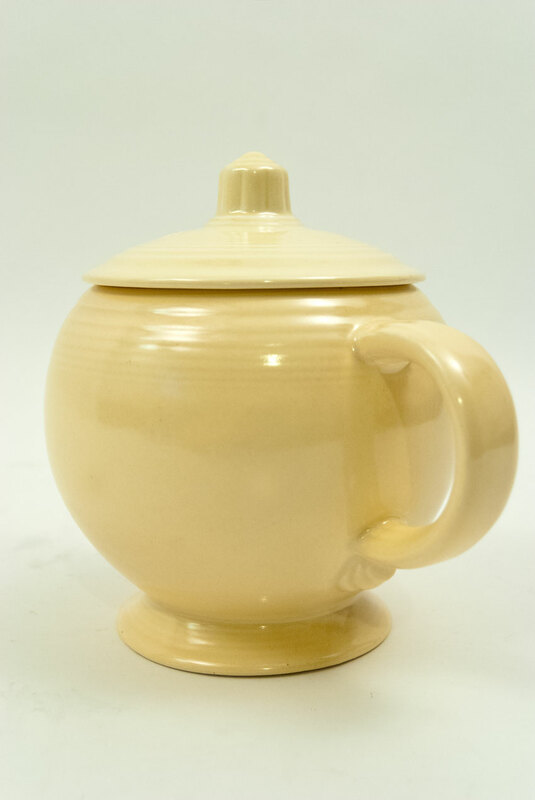 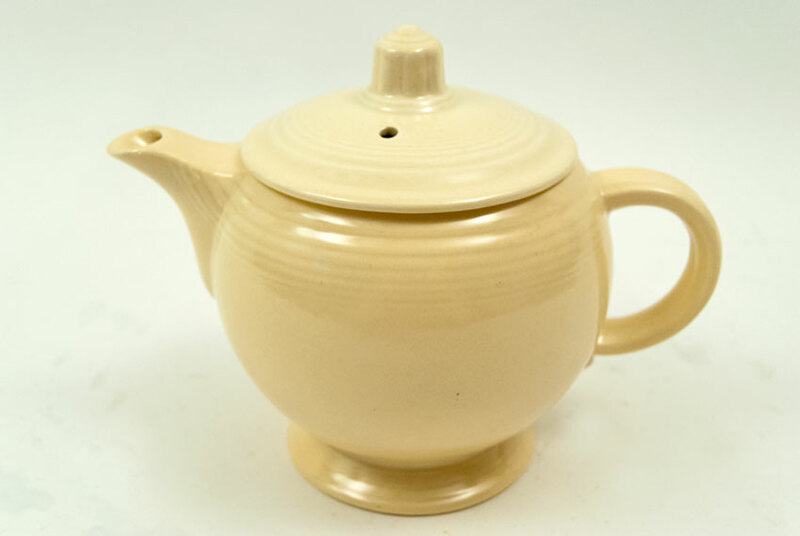 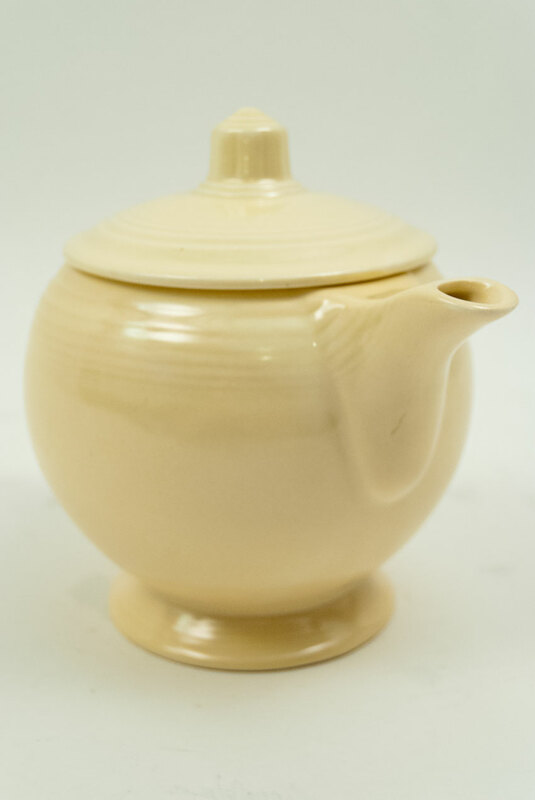 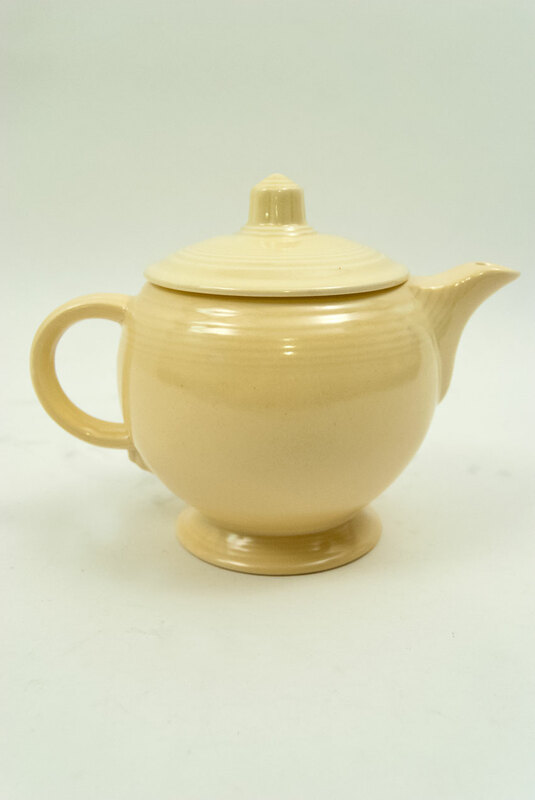 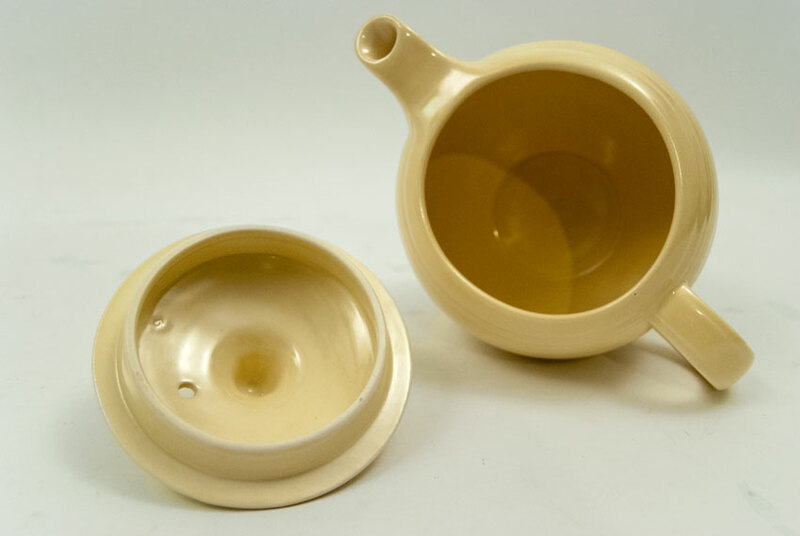 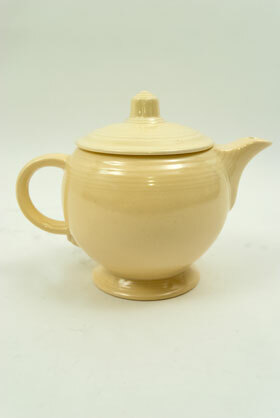 This vintage fiesta teapot in the original ivory vellum glaze is an excellent example, in fantastic condition with great glaze and rich, even color. 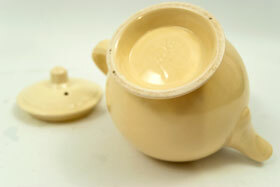 They don't come any cleaner than this piece. Marked in the mold on the base "HLC fiesta MADE IN U.S.A." Measures 8 1/2" w x 5 1/8"h.